Pokémon Dungeon is one of the oldest Pokémon fansites on the internet and as such it has quite a history behind it. Originally founded in 2000 and with a number of different webmasters over time, read on for more about the site’s history. Gengar is a graduate of Vatterott College with a Associate Degree in Computer Programming and Network Management. Gengar has designed webpages since 1998 with the start of a Legend of Zelda fansite directory site. It was with this Zelda site, that Gengar began to learn HTML on his own. Gengar went to college in 2003-2005 at a technical school learning how to write computer programs. During college, Gengar took on creating a website for a local school as a internship. That project went on thoughout the years he attended college and on occasions he still updates their site. He has experience with many programming languages / web technologies including C++.NET, Visual Basic.NET, C#, COBOL, Java, Microsoft SQL Server 2000, Oracle 9i, ASP.NET, (X)HTML, CSS, PHP, and MySQL. Gengar works as the mechanic/technician at the local bowling center and is also the web developer for their website, bearcatlanes.com. Haunter is a 16 year old 11th grade high school student who enjoys participating in sports and other school activities. Haunter is Gengar’s little brother who introduced him to Pokémon, thus giving Gengar interest in creating a Pokémon site. Haunter is less computer savvy than Gengar, but he makes up for these abilities with his school work and other athletic activities. Haunter plans to graduate high school then go on to become part of law enforcement. He loves animals so Haunter would like to become an animal cop. Gengar’s first site was called The Legend of Zelda Search 2000 or what used to be known as, ZS2k. It’s main purpose was to provide a list of many links to other Zelda websites. It only lasted a about a year and half though. GHPD/GHPE (EzBoard) became the main priority and was much more popular, so ZS2k was closed in late 2000. ZS2k was his first site so the layout, HTML, etc. wasn’t really that good and all it had was the List or Links. Gengar’s first professional website was designed for St. Joseph Christian School between 2003 and 2005. It was Haunter who had the idea of Gengar making a Pokémon site because as you already know, Gengar already owned ZS2k at this point. This site was actually in the planning stages for about six months. 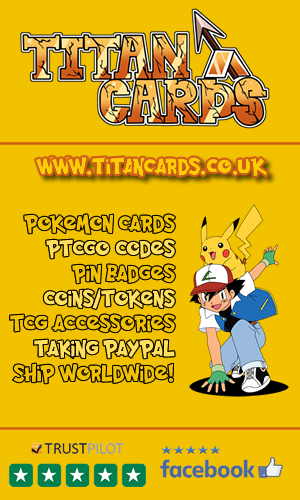 The name of this site was originally going to be Pokémon Planet, but it turned out that another site with that name already existed at the time. The EzBoard of this site actually came first. It was opened sometime in July of 1999, while the actual site wasn’t launched till February 27, 2000. This is when GHPD had its first pokédex. All that was included in the GHPD Pokedex was basically the name of the pokémon, a short synopsis about the pokémon, its type(s), number, etc. It had a poor layout and Gengar believes it wasn’t till version 2.0 until it had pics of pokémon and a table layout. The GHPD Pokedex 2.5 was the version that included pokémon from Gold/Silver. Version 3.0 added a lot to the pokédex. Most of what you see in 3.2 was in version 3.0. Now version 4.1 makes 3.2 seem like nothing, since it has a lot of information, plus it includes Crystal info. The idea of a downloadable pokédex wasn’t till version 3.11 of the pokédex. The final versions are 4.2 for the online pokédex and 4.1 for the offline edition. Round about 2004, a frustrated PC game designer came across the offline pokédex. He had become fascinated with the Pokémon games and was doing research on the game design and statistics. He made a donation as he found the pokédex quite useful. Later, he needed an update and again donated in 2008. This time he received an invitation to join the forums. Normally, retiring and shy, he decided to join and was welcomed into the forums. To this day, White Phoenix is the oldest continuing member ever to join. Later, White Phoenix was promoted to moderator. Then as most of the membership started growing up and going to college, activity in the forums started to fall off dramatically. Recognizing that the parent site was in need of updating and Gengar no longer had the time to maintain the site, White Phoenix offered to take over ownership in order to bring it up to date in the hopes of making Pokémon Dungeon a place for players to come for sharing information, creativity and interest about Pokémon. Gengar then transferred ownership to White Phoenix in 2011. 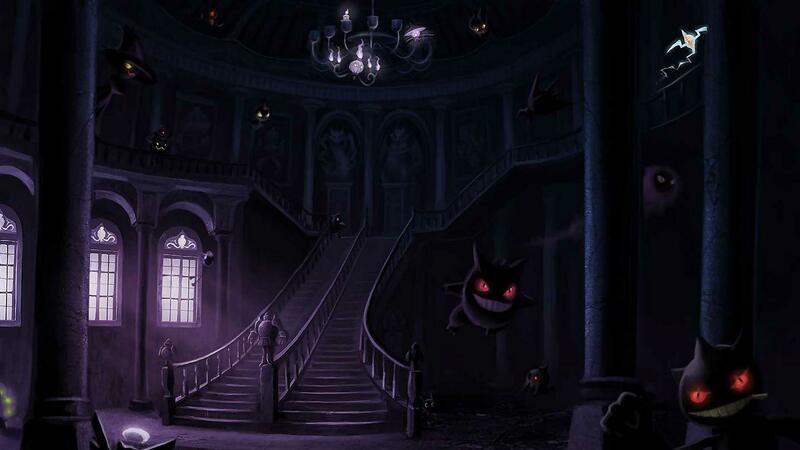 Around 2013, Pokémon Dungeon was renamed to Haunted Pokémon Dungeon in order to re-iterate the ghost theme, differentiate it from a new site also called Pokémon Dungeon (.net), and to pay homage to Haunter who inspired the original site. In 2017 Pokémon Dungeon was offline and had been for a year or two by this point. I (Luke) approached White Phoenix asking if he would allow me to take on the website with a view to rebuilding and restoring it to it’s former glory as one of the premium Pokémon Fan sites online. I have run a Super Mario fan site since 1999-2000 so have always been in and around the Nintendo fan scene. How and why did I decide to take on this project? although the fan site scene kind of died off for the most part toward the end of 2008 fan sites were what made the internet a fun place for me in the early 2000’s and it was sad to see how many of them were now a thing of the past. Gengar, Haunter, White Phoenix and many members of the Pokémon Dungeon community had clearly worked hard to make the site what it was, and the thought of their work being confined to the voids of the intraweb was enough to prompt me to bring the site back. I am now working closely with White Phoenix to get the site back to former glories (particularly the forums which were once one of the most popular pokecommunities on the internet).